Each “Foto Friday” 2dopesistahs pay homage to our love of Pinterest by remixing one of the posts we saw there, the “30 Day Photo Challenge,” originally posted on the Little Bennet blog. We are presenting our photographs so that we can explore the power of the camera and how we see the world. I was actually prepared to do this post last week. 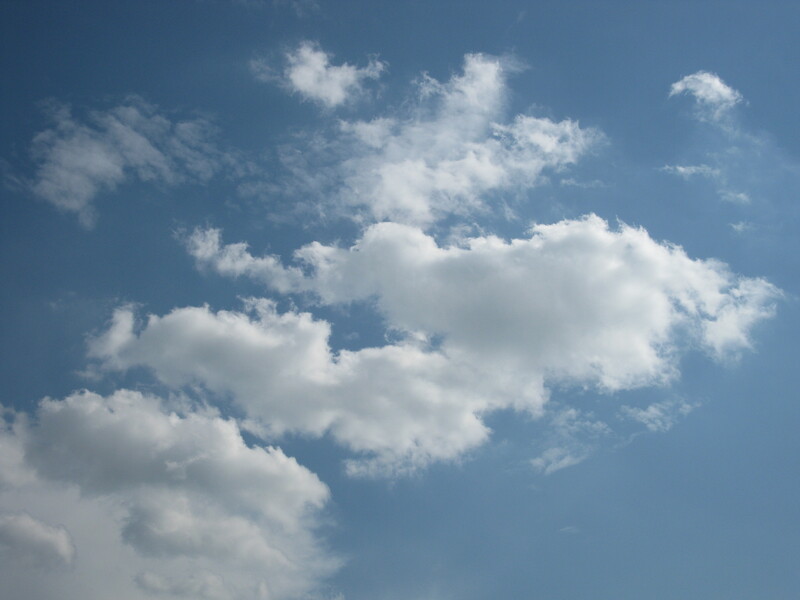 Since the end of June, I have been walking around looking up at the sky and snapping photos of clouds. I settled on two photos. With a hat tip to the late Bob Ross, who always spoke of painting “happy little clouds” on his PBS show, “The Joy of Painting,” I call the first one “Happy Clouds.” It was a bright, “sunshine-y” day, and that seemed appropriate. My second photo is of “Angry Clouds.” If clouds can be happy, then I suppose they can also be sad or angry. 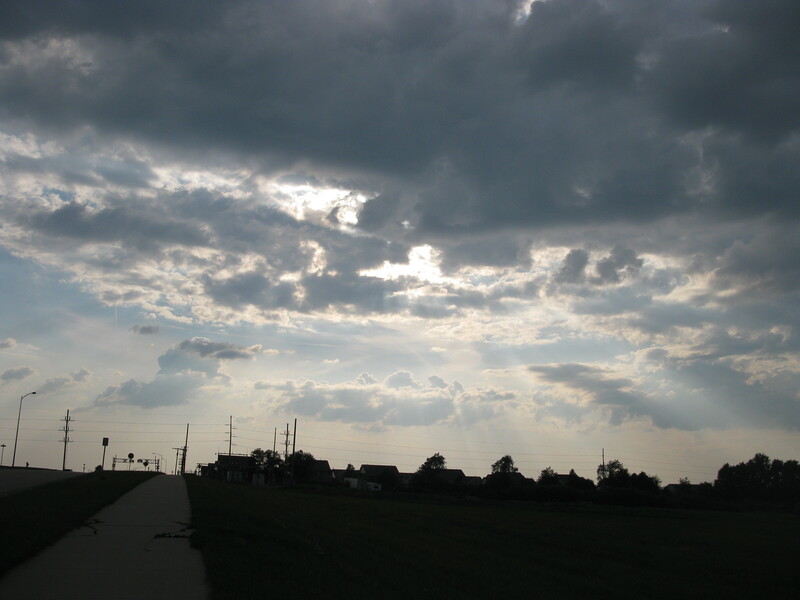 When I saw these dark clouds spreading across the sky, I knew it was time to pick up the pace during my walk. These ominous clouds were bringing rain my way. This entry was posted in Feeding Your Artist, Foto Fridays! and tagged 2 Dope Sistahs, 30 Day Photo Challenge, Bob Ross, Clouds, Joy of Painting by Da Realist 1. Bookmark the permalink.